…this post is for you! I have been enjoying a few different variations of the lovely invention known as “wacky cake”. A type of cake invented during the great depression, “wacky cake” or “crazy cake” is leavened with the fizzy reaction that goes on between vinegar and baking soda. No milk, no eggs. The only change I needed to make for these recipes to suit my allergies perfectly is to use white whole wheat flour instead of all purpose. I’ve made chocolate wacky cake, which I made from this cookbook. I have used this lemon wacky cake recipe for Eve’s birthday cake, as well as an orange version which I plan to use for Robbie’s birthday. (what can I say, my kiddos love citrus). For frosting, I’ve just made some coconut whipped cream like this recipe. Our Easter Carrot cake. That frosting drip makes me drool! I’ve also, most recently, made a delectable “crazy carrot cake” from this recipe with cashew cream cheese frosting from this recipe, although I added about 1/2 cup of coconut cream. And it is definitely my favorite so far. My husband has been missing cream cheese frosting, so he’s in heaven with this one. If you need to make cake for a vegan in your life, go with wacky cake. It’s always good. A quick picture of the baskets before letting the kids have them. We have a few different goals with our Easter baskets. First, we give them to the kids on Saturday to not distract from Sunday. We belong to The Church of Jesus Christ of Latter-Day Saints, and as such, a Christ-centered Easter is important to us. Secondly, we like to eliminate wasteful things. No disposable toys, no extravagant spending on all the perfect things. Enough is enough. Thirdly, we like to make things feel special. So we have Easter baskets, and plastic eggs we’ve kept from year to year so the plastic isn’t sitting in a landfill for millennia. Instead of plastic grass we use colorful scarves to make them pretty. Our kids are still pretty young and we try to be careful of our sugar intake, but we do have chocolate Easter bunnies and chocolate eggs we made ourselves. The weird splotchy eggs have candied violets we picked and candied ourselves. Unfortunately, not very pretty. We made strawberry flavored white chocolate for the pink eggs, store-bought vegan chocolate chips for the dark chocolate eggs, with reese’s style PB filling. I made cookies N’ Cream Bunnies with this mold, which makes little round bois a little bigger than a chicken egg. There’s more info in my other post on the bunnies. For the eggs we used this mold which makes eggs the size of a quail egg (about 1/4 a chicken egg ish. I used strawberry white chocolate based on this recipe which I added ground freeze-dried strawberries to. For the chocolate eggs, I used store bought vegan chocolate chips, since they don’t have dairy or palm oil, I use those thing every chance I can, they’re amazing. I also made some peanut butter filling with peanut butter and powdered sugar until it makes kind of a play-doh consistency, ball it up and stick that in the eggs for a vegan reese’s egg that is deliciously vegan. Last year, we actually bought egg gourds to paint, which was a lot of fun. We bought the cute little gourds (about the size of what I estimate to be a goose egg) from this etsy shop, and we covered the table and painted them with acrylic paints I already had. One purple glow in the dark egg is making an appearance again this year. The dolls are getting their own post, but that little samurai and the Rapunzel doll both are so cute. 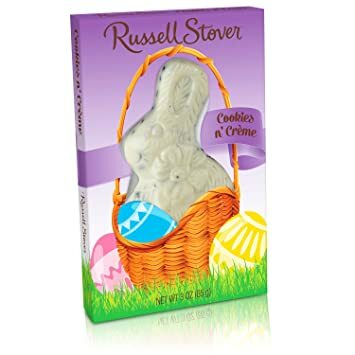 I do have some amazon links in here, but I’m not making any money off those, I just wanted to share what molds and chocolate I used to make vegan easter treats easier for everyone. Ever since I’ve gotten a handle on this whole vegan thing, I’ve been figuring out solutions to recreate some of my old favorites. Childhood favorite cookies, favorite snacks, candies, etc. As Easter is coming closer, I’ve been crafting up a storm, but what’s been lingering on my mind most of all is Cookies ‘N Cream Bunnies. Man, those were great. I got a cookies ‘n cream rabbit almost every Easter for years. But with new allergies has come many, many adjustments, and candy has been one of the trickier ones. 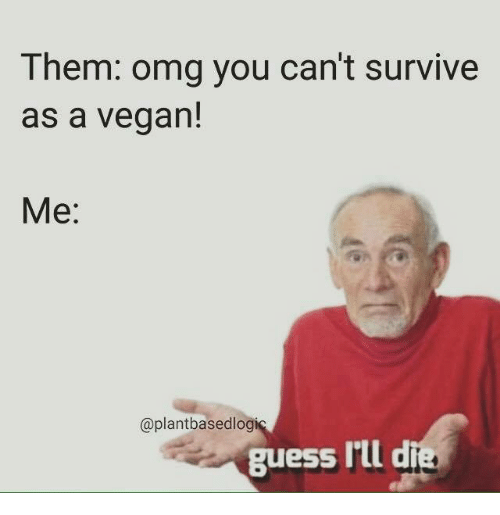 Not just because of the dairy, but also because I’m allergic to palm oil! That stuff in in just about every candy on the face of the earth. I love this mold. It makes just the cutest little Round Bois. I followed this recipe absolutely to the letter, and the white chocolate came out just perfect. I don’t add all the ginger and other extra flavors the original poster added, I was going for that really straightforward vanilla taste. I would only add that I have made this before, less successfully– and it really needs to be whisked thoroughly or you need to sift the sugar and milk (soy milk) powder into the melted cocoa butter or your lovely white chocolate will be gritty/lumpy. I’ve made strawberry flavored white chocolate (tutorial to come in a future post), and now these cookie crumb-filled cuties! Oh my goodness. That little face. I would add that I forgot to add the soy milk powder, and they still taste nice. I also ought to have roughly chopped my oreos (made according to his lovely recipe) instead of running them through the food processor, because they TOTALLY turned to dust instead of becoming nice little nuggets like I wanted. Still, they came out really tasty. More Easter basket goodies coming up this week, it’s a craft storm up in here.